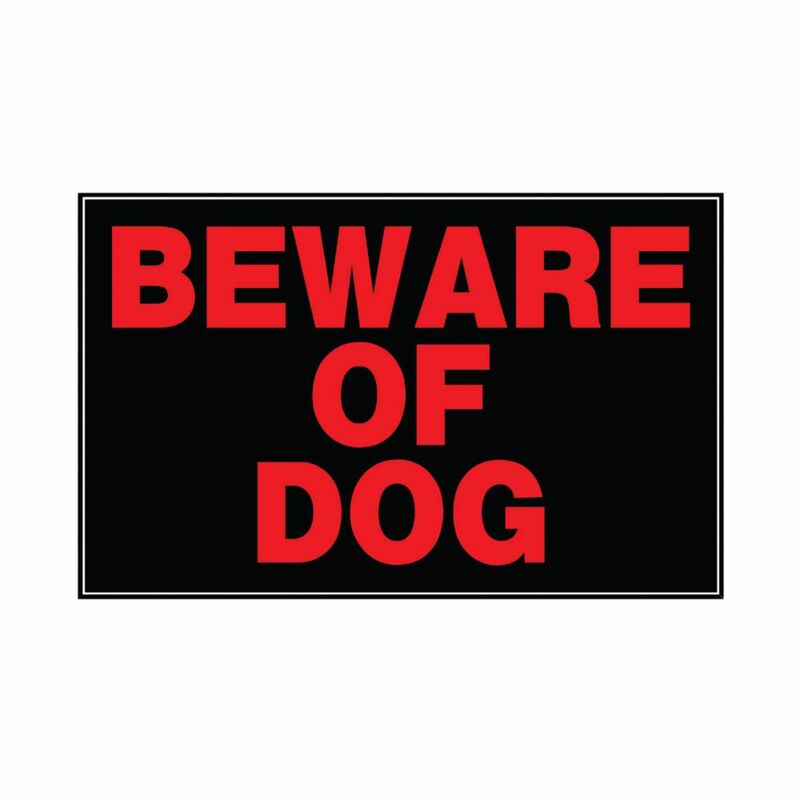 10-inch x 14-inch Aluminum Sign Beware Of Dog A large range of sign titles to choose from to meet your specific need. 10-inch x 14-inch Aluminum Sign Beware Of Dog is rated 5.0 out of 5 by 5. Rated 5 out of 5 by Roadrunner from Great investment I’ve had one of these signs on each of my gates for years. Yes I have a dog who would probably love an intruder to death but they don’t know that. And with these signs on my gates, I have never had anyone try to enter by back yard. Even without a dog present, these signs are well worth the $2 or so that they cost as most evil-doers would rather not take the chance. The signs are really well made and I have one that is around eight years old and still looks like new. These are a great investment for any homeowner.